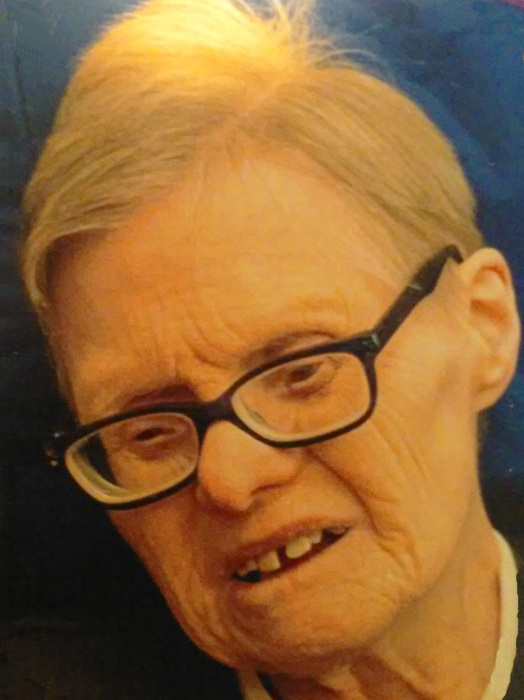 Lois M. Eickman Cissoko, 73, of West Bend, passed away on Wednesday, March 20, 2019 at Serenity Villa in Slinger. Lois was born on July 15, 1945, the daughter of the late Gerhard and Pearl (Hess) Eickman. After her parents passed she lived in Mary Cissoko’s and Beverly Tessar’s adult family homes where she felt like part of the family. Lois attended The Threshold Incorporated for many years, the last few years being part of the Senior Day Services. She loved making crafts, going places in the community, visiting with friends, coloring, and many other activites. Lois is survived by her niece, Gini (Brian) Thelen and nephew, Jon (Deborah) Swenson and their children and grandchildren. She is also survived by friends, Bev Tessar and her family and Mary Pfeiffer. She was preceded in death by her parents; her sister, Edith “Toodles” Swenson; and her brother, Fredrick Eickman. Memorial Service for Lois will be held at 12 Noon on Saturday, March 23, 2019 at Myrhum Patten Miller Kietzer Funeral Home (1315 W Washington St. – West Bend, WI 53095) with Pastor Robert Hein officiating. Inurnment at Zion Ev. Lutheran Church Cemetery in the Town of Wayne. Lois’ family and Mary Pfeiffer (guardian) would like to extend their heartfelt appreciation to the staff at Serenity Villa, who loved and cherished Lois, calling her their “Little Peanut.” Also to Mary Deering and Jackie Wilson of Care Wisconsin and the staff of Horizon Hospice for the loving care they provided. The Myrhum Patten Miller & Kietzer Funeral Home of West Bend has been entrusted with Lois’ arrangements. Additional information and guest book may be found at www.myrhum-patten.com.